British born Hypnotist Luke Michael Howard Ph.d has vowed to bring No Smoking Day to Toronto beginning this March. Luke Michael Howard Ph.d a clinical hypnotist with over 20 years and specialises in will be asking Toronto Mayor John Tory for an offical proclamation to make Wednesday 8th March 2017 "No Smoking Day" in Toronto. No Smoking Day started out on Ash Wednesday in 1984 in the UK. It has grown in size and scope since then. It is celebrated in communities across the world trying to educate more people every year. No Smoking Day is quickly approaching and takes place on Wednesday 9 March. In the lead up to the day, smokers and nicotine users in general are being encouraged to get help and advice on how to quit cigarettes and nicotine for good. Over one in five adults are smokers and there are over 4,500 hospitals admissions per day for diseases caused by smoking ranged illnesses. More than a third of smokers (37%) have noticed a negative difference in their appearance since they took up smoking, with over a third (36%) saying their teeth had become discolored, and seven in ten (71%) saying they were concerned about the effect smoking was having on their oral health. The research was commissioned by the British Heart Foundation (BHF) which is urging people to quit on No Smoking Day, Wednesday 9 March 2016. If you or someone you know smoke cigarettes, you know that it is a very difficult thing to deal with. Cigarettes are highly addictive and harmful to the person who smokes then as well as the people around them. No Smoking Day aims to bring awareness to the dangers to this addiction. Why is it this day so important? Over the last 20 plus years, it has become very clear how life threatening smoking really is. There are over 2,500 toxins in cigarettes 50 of which are directly linked to causing cancer. 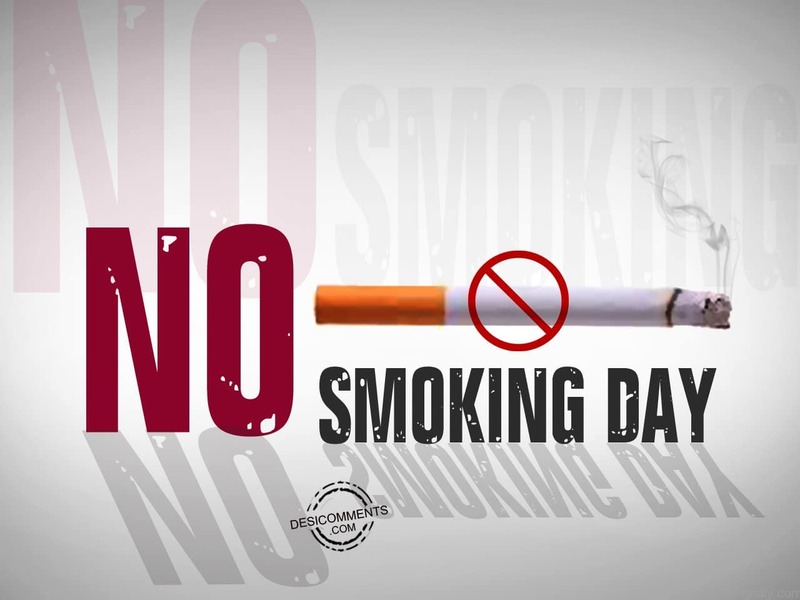 The best way you can celebrate No Smoking Day if you are a smoker is to take the opportunity to choose to quit. It may not be easy but it is clearly worth it as you will improve your health within hours and days of stopping. Of course, like anything having to do with your health you should consult your physician for advice on the best course of action for you personally. There are many options to support you once you make the choice to quit. The day can be celebrated by those who are concerned about someone they love by offering them access to resources that can help. There are support groups, over the counter cessation aides, and phone numbers to people who can just talk to them. Most insurance companies have programs available now as well and would be happy to help. Be supportive in offering resources and you may find that this year will be the year that your loved one is ready to quit. There is another way to celebrate and it is one that needs to be made a big deal of. That is for those who have quit! 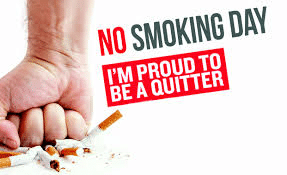 It is a great time to let them know you are proud of them and their continued status as a non-smoker. No matter how you choose to celebrate just make the leap of faith and go for it! Luke Michael Howard CHT is a Clinical Hypnotist with over 20 years experience helping people become smoke free. He's the owner of http://www.lukenosis.com / mail@lukenosis.com / 647-846-3202. Hypnosis in the West end of Toronto.